If you have astigmatism - a subtle difference in the shape of your cornea that can cause blurry vision - it doesn't mean you can't see clearly, comfortably and consistently in contact lenses. AIR OPTIX® for Astigmatism contact lenses offer exceptionally stable vision and a breakthrough design that delivers outstanding performance; plus, outstanding comfort. PRECISION BALANCE 8|4™ Lens Design. 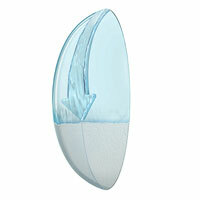 Keeps contact lenses in place and prevent blurriness. Because lenses for astigmatism require two prescriptions that must stay in place relative to the eye, stability is key to clear, consistent vision. Some contact lenses for astigmatism rotate, which can cause blurry vision, and the buildup of irritating deposits can make them feel dry and less comfortable over time. 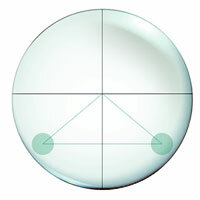 AIR OPTIX® for Astigmatism contact lenses are different. For consistently comfortable and clear vision without compromise. With TriComfort™ Lens Technology, AIR OPTIX® for Astigmatism contact lenses maintain moisture, allow rich, nourishing oxygen to flow continuously through the lenses, and feature an ultra-smooth surface designed to resist deposits delivering a healthy, natural feeling. 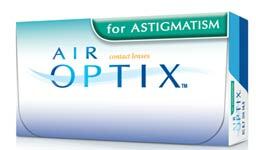 *AIR OPTIX® for Astigmatism (lotrafilcon B) contact lenses: High oxygen transmissible lenses. Dk/t = 108 @ -3.00D -1.25D x 180. Ask your eye care practitioner for complete wear, care and safety information. Nazareth Eye Associates proudly serves Nazareth, PA and the surrounding areas of Stockertown, Tatamy, Belfast, Bath, Chapman, Philipsburg, Easton, Bethlehem, Allentown, Bangor and Wind Gap.